We provide our patients with the highest quality products, but we are also conscience of our patient�s financial needs and moral convictions. Many eye care products are tested on animals. 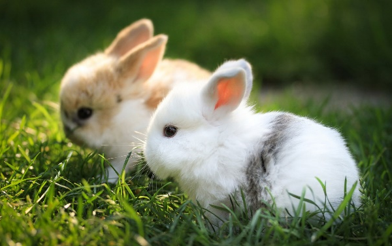 Like most tests for drugs and medical devices, these tests are typically performed on rabbits. No frame or lens technology is tested on animals. You can rest assured that any glasses you purchase are 100% cruelty-free. This contact lens company has not directly participated in animal testing, nor does it pay royalties or fees to a company that has. Material that had been tested on animals previously by unaffiliated companies. This product is popular and safe. Clear Conscience is the obvious choice for vegan contact lens solution. This product has been made and marketed in particular to eco-friendly and animal-friendly consumers. This product is of high quality, popular, and safe. Off brand solutions produced by companies like Safeway and Target are relatively safe and cruelty free. These companies base their products ingredients on brand name products and are often even produced by the same manufacturers as brand products. The most frequent concern with off-brand products is that manufacturers are changed frequently, which may lead to variability in quality from bottle to bottle. If you�ve been sensitive to certain solutions in the past or are prone to eye infection then it is not recommended to use off-label brands. Home Made Solutions � Do Not Use! Do NOT use home-made or saline solutions to store or clean your contact lenses. Especially avoid making solutions based on internet �recipes�. Remember that your contact lenses are a medical device, not an at-home project. The majority of ocular medications have been tested on animals, but some generic medications have not. Ask your eye care professional if it is OK to use a generic alternative to your ocular medication. Much eye disease is preventable, but not reversible. Always carefully follow your doctor�s instructions on the use of medication. Information from the internet should cautiously augment, not overrule, your doctors instruction. If in doubt, please seek a second opinion. Ocular products are low weight, low material volume, and lack dangerous by-products. For this reason, our products have a very low-impact on the environment. The majority of environmental impact is due to the packaging of these products. Most ocular products are made with high-tech plastics that are not bio-degradable, but because of the high benefit and low purchase frequency, glasses and contacts are an important investment for any environmentalist.